Are eco-cocoons the solution to poaching? Buffer zones along the border of Kruger National Park target wildlife poaching. Displaced communities say it’s a land grab by rich foreigners aided by corrupt politicians. Estacio Valoi investigates. Massingir district, covering some 580,000ha on the Mozambican side of the border with South Africa, is notorious for its wildlife poachers. An estimated 90% of the 3,960 rhinos poached in the Kruger National Park since 2010 were killed by Mozambican insurgents entering the park across the border, rangers say. South African conservationists and tourism businesses are developing land on the Mozambican side of the border in an effort to create an anti-poaching buffer zone along the 360km-long fence, to protect the rhinos and elephants which in recent years have been increasingly targeted by the poachers. Now communities who have had to make way for the buffer zone are accusing the companies of grabbing land to create eco-cocoons for the mega-rich. 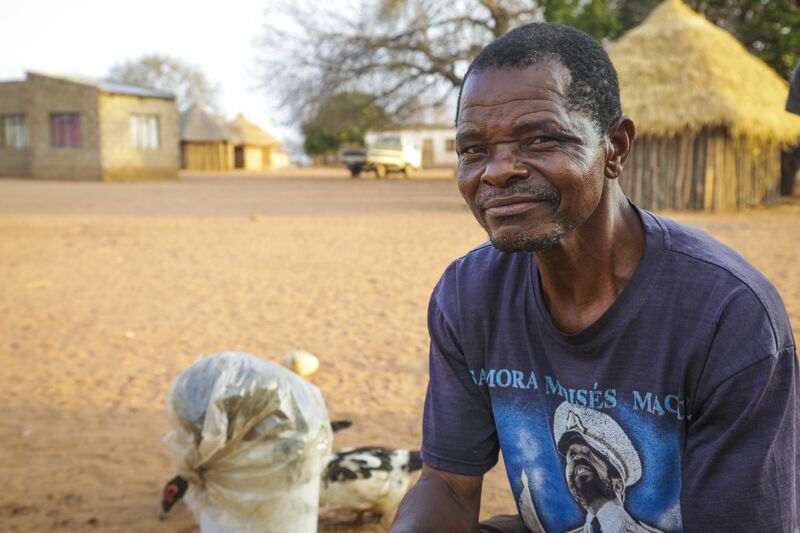 The South Africans are, villagers claim, being helped by the son of a former Mozambican president and local politicians, through a combination of bribes, failed promises and deliberately stoked land conflicts. “They said they were going to employ us when we gave them our land. That was not true. Then they manipulated and divided our communities so that they could reign and benefit,” said Isac Alione Fubai, a former leader of the Cubo community. Twin City, a South African company that has taken over large tracts of land in the buffer zone, had created conflict between Cubo and Nkanhine community members for their own benefit, Fubai said. In South Africa, Twin City’s core business is the development, letting and management of shopping complexes. It is owned by the super-rich Pistorius family, world famous after former Paralympian Oscar Pistorius shot and killed his model girlfriend Reeva Steenkamp in 2013. In Mozambique, the company set up a joint venture called Twin City-Karingana Wa Karingana Ecotourism Limited, based in Maputo and registered at the Commercial Registry Office. Its associates are Twin City Development (Pty) Ltd, which holds 50% of the shares, and Twin Investment Limited, shareholder of the other 50%. The Mozambican shareholders, represented by Muhammad Khalid Peyrye, are the former governor of Gaza province, Eugénio Numaio, his son Rangel Numaio, and Mozambican company coordinator Renato Mucavel. 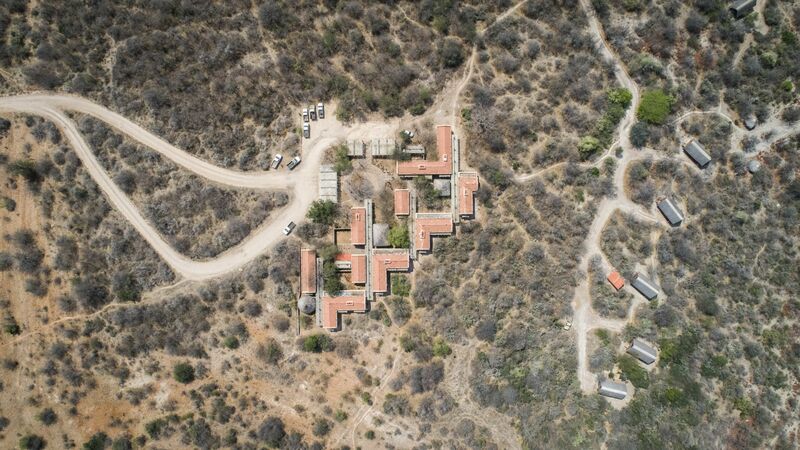 Twin City Development was established in 1984 by Arnold Pistorius, Oscar’s uncle, and has consolidated 27 pieces of land along the Mozambican border into the 137,000ha Karingani Game Reserve. 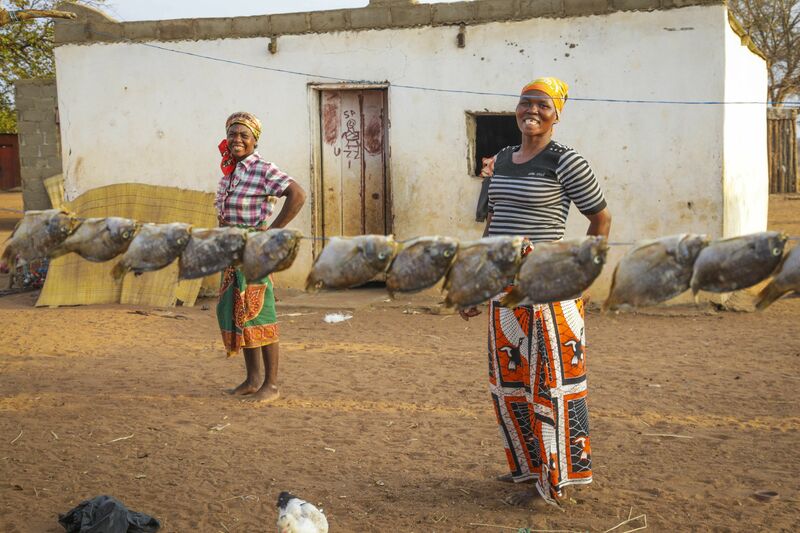 Over time Mozambican government officials have helped it to incorporate at least 20,000ha of community land into Karingani, and it has eyes on acquiring more. 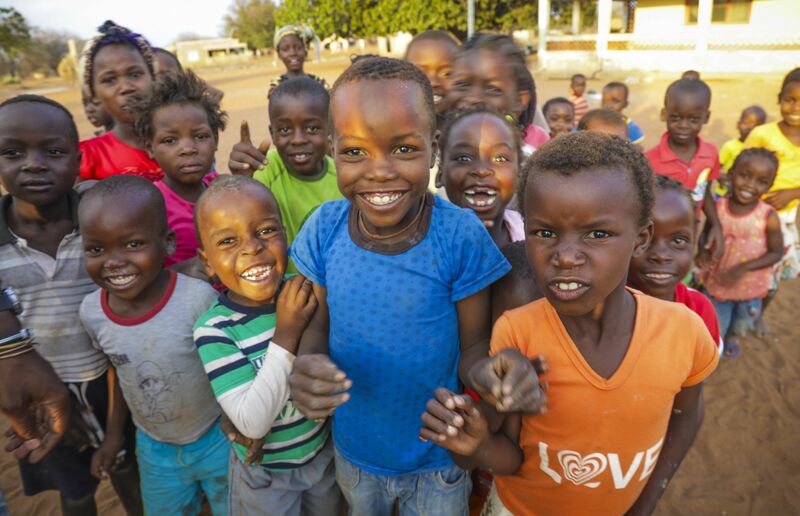 First communities living in Cubo agreed to release 10,000ha to Adolfo Bila, the Massingir district administrator during the time of Mozambique’s first independent president, Samora Machel. Then another 10,000ha were released to the former governor of Gaza province, Eugénio Numaio, after he stressed in a meeting with the community members’ association the importance and advantages of ecotourism for the community. “The first 10,000ha was passed on by Bila to Numaio, and we agreed with this, expecting the former administrator to fulfil his promises of social responsibility in exchange for the land. But he did not fulfil those promises. Nobody from Cubo is working for Twin City,” said Fubai. Isac Alione Fubai, former leader of the Cubo community. Besides employment, the deal Cubo community members agreed to included veterinary facilities and water for their cattle. “But, apart from constructing two classrooms, a toilet, a yard for kids to play in and a fence at the hospital, Bila did nothing,” he said. After intervention from Centro Terra Viva, a Mozambican land and environment non-governmental organisation, community members agreed to keep and develop 3,000ha of the remaining 10,000ha they had originally occupied. The community members formed an association called Tlharihane va ka Cubo, and agreed to move off the land to Macavene and Xilalane Valley, near Massingir dam. In 2006, the Cubo community association formed a joint venture with the African Wildlife Foundation (AWF) to develop a tourism project and lodge on the 3,000ha community area. “AWF suggested we accept Numaio as our partner, and he would put a fence around the area to prevent lions from killing our people and cattle,” said Fubai. The partnership saw Numaio take 60% of the community tourism project and lodge. Disputes arose about the ownership of the 3,000ha and Numaio later announced that he had obtained the DUAT, or Right of Land Use, as his property, justifying this by saying he had invested in the project. In May 2016 the Balule Lodge was opened on community land by Minister of Land, Environment and Rural Development Celso Correia. Samora Machel Junior, son of the former president, was listed alongside Eugénio Numaio and Renato Mucavele as the Mozambican partners. The inauguration ceremony was marked by the absence of the Cubo community. Other conflicts have ignited around promises of fences after two people and hundreds of community cattle were killed by lions crossing from South Africa to Massingir via Twin City land. “We asked them to put a fence because the lions cross to this side, killing our cattle, and hippos are eating our crops and destroying our farms. But Numaio refused to put up the fence and said that he wants to expropriate our 3,000ha of land. We don’t want to see our land taken away from us,” said Cubo community leaders. A lioness that killed a boy on farmland was later killed by community members. “We have been complaining about wildlife and in 2001 Twin City asked us to write down our complaints. We did this, but got no results. “Now we finally know why they have been refusing to put up the fence. It is because they want to take our land from us,” said the community members. Fubai resigned as leader of the Cubo community, saying he was coming under pressure from Numaio and the Massingir district government to convince the community association to give their last 3,000ha to the Twin City partnership. In October 2010 development of the community tourism project was halted by the Massingir district government. Amelia Cubai, who took over from Fubai at the head of Tlharihane va ka Cubo, said various officials, including the Massingir administrator, had tried to persuade the community to give up their 3,000ha of land in favour of Twin City, which would bring substantial development to the community, or they “could take the land by force”. “The community was not intimidated, we refused,” Cubai said. The 2017 census registration in Massingir district was placed in jeopardy last year when the Cubo community demanded that the government give them back their land as a condition for them to participate in the census. As a result, Mozambican Land, Environment and Rural Development Minister Celso Correia undertook to end the community’s five-year land conflict with Twin City by granting the community rights to use other land. 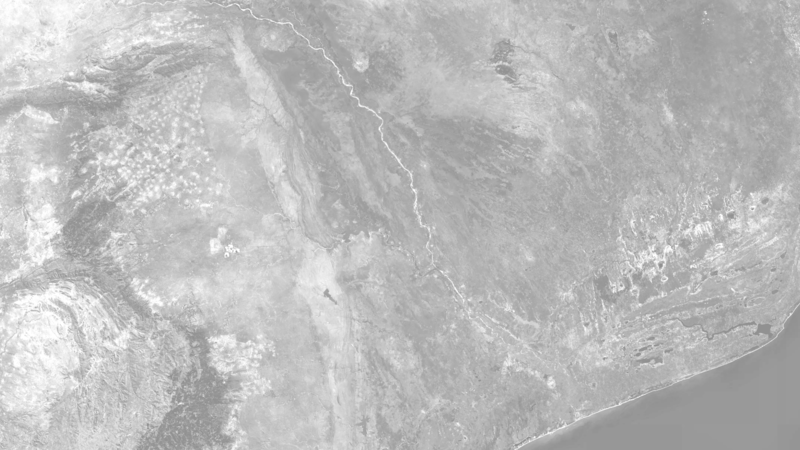 In the northern part of the border zone, Mozambique set aside some 10,000km of land to become part of a giant transfrontier “peace park” agreed to between the post-apartheid South African, Mozambican and Zimbabwean governments in 2000. 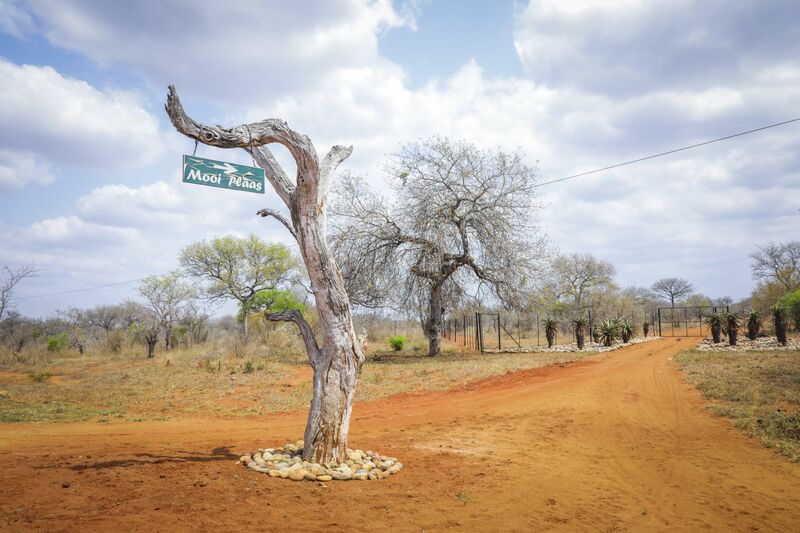 In the years since, fences along the border have been removed and Kruger’s wildlife has moved between the two countries along ancient migration corridors. 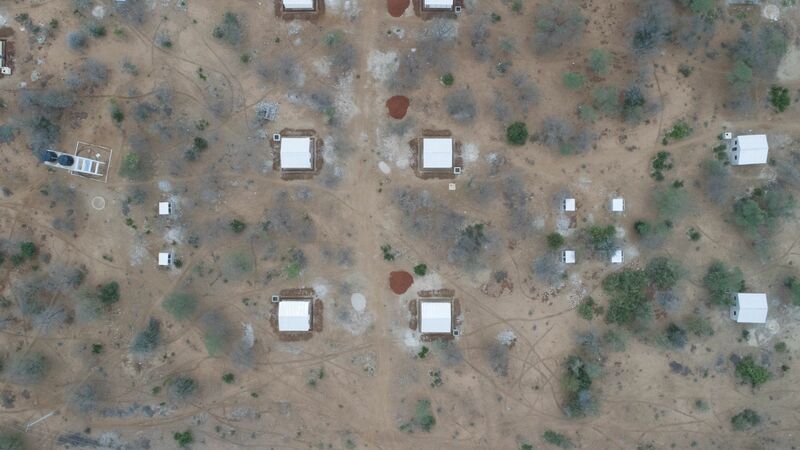 The resettlement of communities living in the Limpopo National Park on the Mozambican side was a part of the transnational agreement, said park administrator Cornélio Miguel. “We are part of a huge ecosystem joined to the Kruger National Park in South Africa and the Gonarezhou National Park in Zimbabwe. We needed to carry out the resettlement process to create good living conditions for the communities living inside the park in difficult and extreme conditions; we believe that with the resettlement, they will have the opportunity to improve their quality of living through better housing and means of survival. “At the same time, we are recovering the ecosystem and ensuring continuity in the animal corridors. The animals will, in turn, in future benefit the communities through jobs and tourism promotion,” said Miguel. About 2,000 families have been resettled in eight villages in the Eduardo Mondlane neighbourhood of Massingir, according to Anastácio Matável, executive director of the Forum of Non-governmental Organisations of Gaza (FONGA). Five communities, comprising 13,300 families, are still living inside the park and are awaiting resettlement. Matável described the resettlement as “a failed process. First 18 houses were built, then 50 houses. Then the local government tried to finance the project through the National Disaster Management Institute, but it failed. Matável said there is no employment in the resettlement area, and no space for farming or cattle. “The park promised to create all the social conditions required for a proper resettlement. That’s why we accepted to leave, but what did the population get in exchange? There is nothing. What has been the relationship between the population and the park? There are no profits. Employment prospects rose with the development of sugar cane fields covering 37,500ha in Massingir district. A consortium composed of South African and Mozambican companies set up the project, valued at $US740-million, which was to include a processing mill. In 2007 the Mozambican government signed a contract with the company ProCana to produce ethanol from the cane. The initial investor in ProCana was London-based Central African Mining and Exploration Company, which set up Bioenergy Africa to take 94% of the shares in ProCana. Bioenergy later changed its name to Sable Mining, and is registered in the Caribbean tax haven of the British Virgin Islands. In 2009 the Mozambican government announced it had cancelled the Procana contract. The project was taken over by Massingir Agro Industrial (MAI) in 2012. South African company TSB Sugar held 51% of the shares and the remaining 49% were held by SIAL (Sociedade de Investimentos Agro-Industriais do Limpopo), a Mozambican company chaired by former minister of industry Octavia Muthemba. TSB said the project expected to produce 500,000 tons of sugar a year – more than all the other Mozambican sugar estates combined – and 240-million litres of ethanol. Fields of cane were planted near the Massingir dam, but in 2016 the project collapsed. According to TSB, a feasibility study had shown the investment cost had risen to $1,2-billion, reducing expected returns from the project, and the Mozambican company had been unable to raise the extra money needed to finance it. FONGA’s Matável said communities in Massingir were opposed to the sugar cane project because it was a monoculture requiring large amounts of water for irrigation, and could poison the land with pesticides. 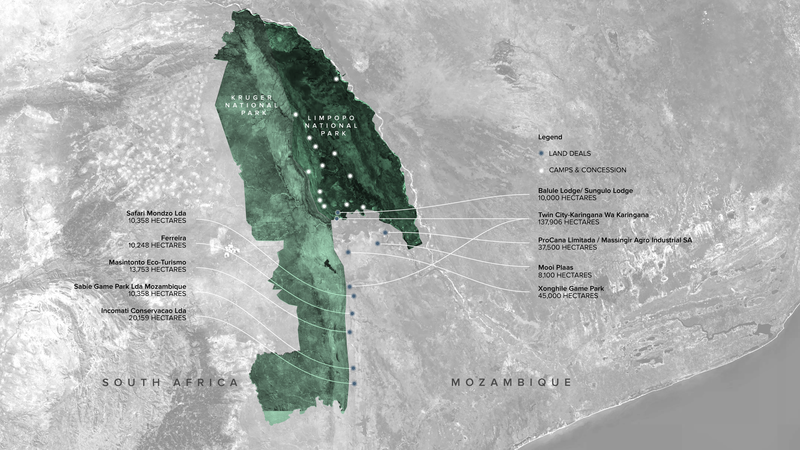 Community unease has grown with the expansion of South African private game reserves along the Mozambican side of the border zone, most with “stakes” owned by Mozambican companies and officials. Twin City took over the leasehold of the 45,000ha Xonghile Game Park from private investors, and consolidated it into Karangani Game Reserve. 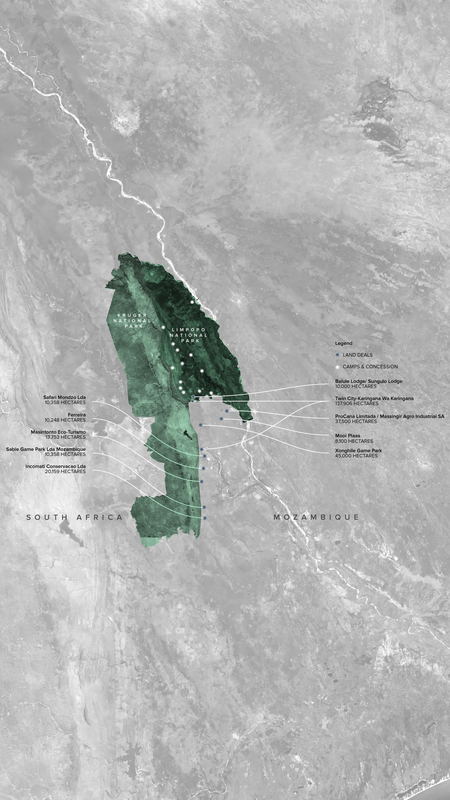 Singita, a South African ecotourism company owned by Luke Bailes, plans to build a luxury lodge in the reserve. Investors in Karangani include the Bedari Foundation in the United States and American hedge fund manager Paul Tudor Jones. There are also several hunting outfits with South African connections in the border zone, including Mangondzo reserve, Masintonto Eco-Turismo and Sabie Game Park. In response to questions, Twin City said it “is a company incorporated in Mozambique with the main purpose of investing in the conservation of wildlife. It is mainly present in Massingir in order to prevent and counteract illegal poaching of wild animals. In total the Karingani project has resettled 327 families, totalling about 1,000 people, and more than 2,000 cattle, the site states. Tensions mainly arose after negotiations about the 3,000ha of community land that would have provided Karingani with access to a lake, he said. “A study by experts showed that by having water access from that valley Twin City would be the most beautiful place along the borderline. Even South Africa or Zimbabwe would not have such an amazing place like this where we could have all the Big Five. University research into development opportunities in Massingir district in 2010 indicated it has agricultural, tourism, livestock, forest and fisheries potential. Many local communities still rely on income earned by Mozambican migrants working in South Africa. 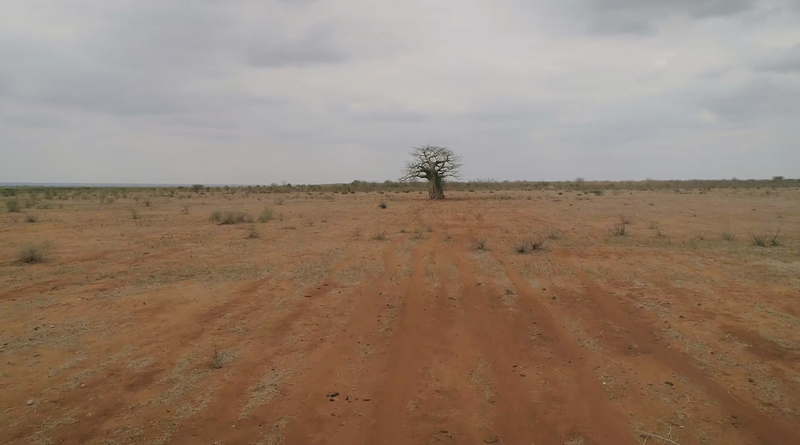 But despite all this promise, nothing much has changed for many community members who are selling their last cattle to buy food and to build their own traditional wells to get water. 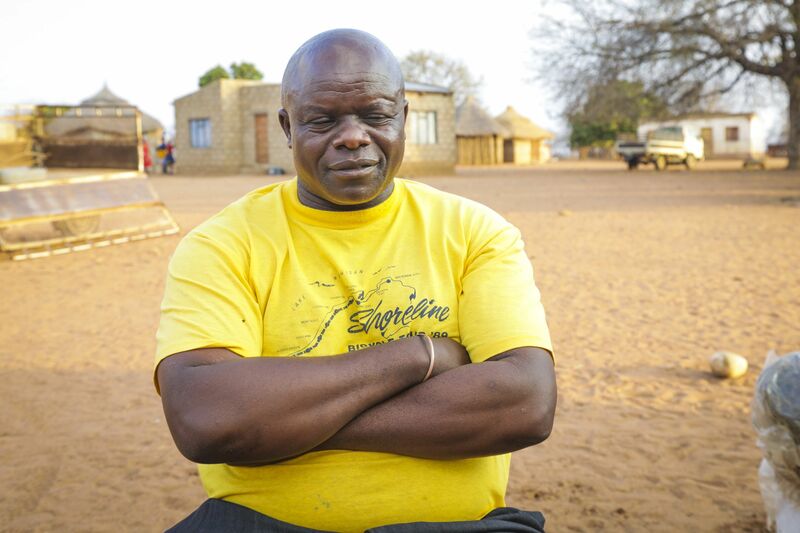 For Jaime Cumbane, leader of one of the communities resettled in Eduardo Mondlane neighbourhood in 2013, the main issue is land: “At least 90% of the Mozambique borderlands is in the hands of game reserves, including the Limpopo National Park. But we have no land here in Massingir,” he said. Some community members suspect the private reserves and their government allies are not as interested in the surface as what lies deep in the soil. They point to increasing militarisation in the borderlands, with local community members having to ask for permission from security guards to go farming or feed their cattle. “The military force was originally deployed in the area because it was a way in and out for poachers to Kruger park. Today the military are there to protect Twin City,” said a Cubo community member who asked not to be identified. Produced in partnership with: Code For Africa, africanDRONE, and the African Network of Centres for Investigative Reporting (ANCIR).